CZARNECKI - Rev. Edward R. March 17, 2019 of Angola, NY. Beloved brother of Anne (Ronald) Haak; dear uncle of Amy (Dj) Anderson and Eric (Nicole Ksiazek) Haak; great-uncle to Sofia, Brady, and Ryan; survived by many cousins and friends. Family will be present to receive friends Wednesday and Thursday from 3-7 pm at the Latimore-Schiavone funeral home, inc., 8434 North main st., Angola, where prayers will be said Friday at 10:15 AM, followed by a Mass of Christian Burial at St. Anthony's Church, Farnham at 11 am. Most Rev. Edward Grosz will be presiding. 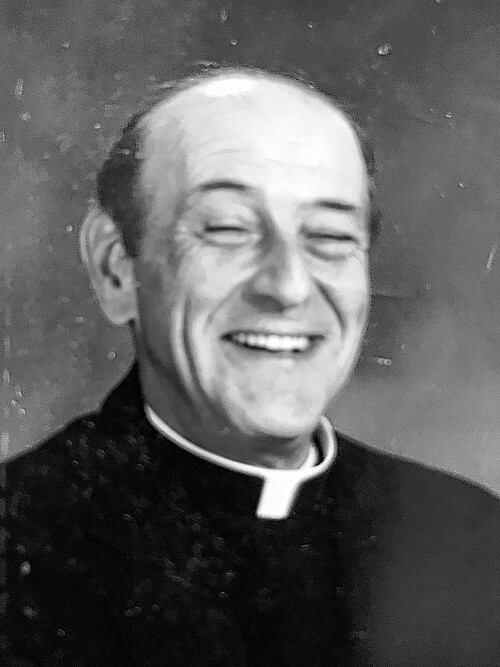 Father Ed always entered the room with a smile and a good joke. He was a member of the Knights of St. John, enjoyed golf, bowling and volunteered for meals on wheels.